A person who was the wife or husband of the deceased person at the time of the deceased person’s death. An application for a Family Provision order by an eligible person can be made at any time within 12 months after the date of death of the deceased person. A Family Provision Order may be made if the Court is satisfied that the person seeking the order is an eligible person and has not received provision for the proper maintenance, education or advancement in life by the Will of the deceased or in the event that there is no Will, by the operation of the rules of intestacy in relation to the estate. 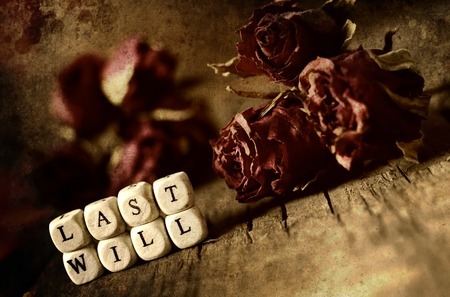 In respect of this category, the deceased may have left no Will, and there are rules whereby the deceased’s estate passes to beneficiaries in those circumstances but the Intestacy Rules deprive the person seeking the order of entitlement under the Will. The matters in (a) to (o) are not exhaustive, and item (p), which relates to “any other matter that the Court considers relevant”, gives the Court a wide discretion. This discretion includes matters that may have arisen at the time of the deceased’s death or at the time the application is being considered. It is important to see a solicitor to ascertain your rights. The time of one year from the date of the deceased’s death is a strict time limit. It is important to obtain advice from a lawyer early. The application is made by the filing of an application in the relevant Court form together with a detailed affidavit. Evidence is thereafter filed in support, including affidavits from relevant witnesses on both sides and then the matter is listed for a compulsory mediation. Generally, the application is filed by the person making the claim against the executor of the deceased’s estate. If the matter is not successfully resolved at a mediation, then the matter will be listed for a hearing. The general time frame, assuming nothing untoward happens between the time of making the application and the Court hearing the application, if the matter is not otherwise resolved, or settled is somewhere between one and two years from the date when the application is made. If you are an executor, who is the subject of Family Provision application then you need to seek the advice of a lawyer. If you are an executor who is the subject of a Family Provision Act application you are entitled to an indemnity in respect of the costs of defending the application, from the assets of the estate. In the event that there is a Family Provision application, the estate cannot ordinarily be distributed until the application has been completed. Ask us about our NO WIN-NO FEE* Policy for family provision claims.